During Black History Month, we look at the impact that African-Americans have had on our history and celebrate those who have become icons. The Civilian Personnel Records branch of the NPRC watched an American Experience film about the famous Olympic athlete, Jesse Owens. In the 1936 Olympics in Berlin, Owens won four gold medals: the 100 and 200 meter dash, long jump, and 4x100 meter relay. He competed at the height of the Great Depression in the US and Nazism in Germany, who argued that his white Aryan athletes could beat all other competitors. Owens single-handedly broke this ideology and proved his superiority as an athlete. Hitler originally did not want the Olympics in Germany, but soon after, he was convinced that such an international event could prove to the world how superior German athletes were. During preparations, anti-Semitic propaganda and all other evidence of Jewish persecution was removed from Berlin. Hitler also refused having any Jews from competing in the games, even excluding some German athletes who were world champions. Owens quickly disproved the racial notion that blacks were the inferior race to Hitler. On the second, fourth, fifth, and ninth days of the games, Owens won four gold medals, although he came close to being disqualified in the long jump before the German long-jumper Luz Long advised him on jump further. During the medal ceremony, Hitler refused to shake Owens' hand and many back home took this 'snub' as a great offence to the athletic spirit of the Olympics. 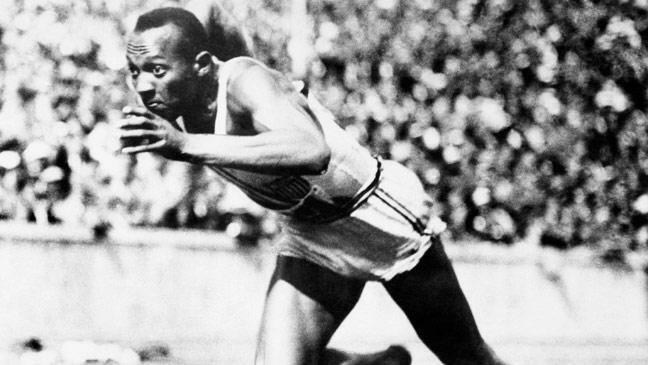 Owens broke five world records and tied for a sixth at the 1936 Olympics, all in the space of 45 minutes. After the Olympics, Owens fell into financial difficulties and eventually declared bankruptcy. He raced against racehorses for money to provide for his family, but then President Eisenhower appointed him a goodwill ambassador to help raise awareness about poverty and the importance of the Olympics in promoting world peace. He died in 1980 from aggressive lung cancer. Jesse Owens is an iconic American athlete and his performance in Berlin disproved the idea of racial inferiority in the 20th century.